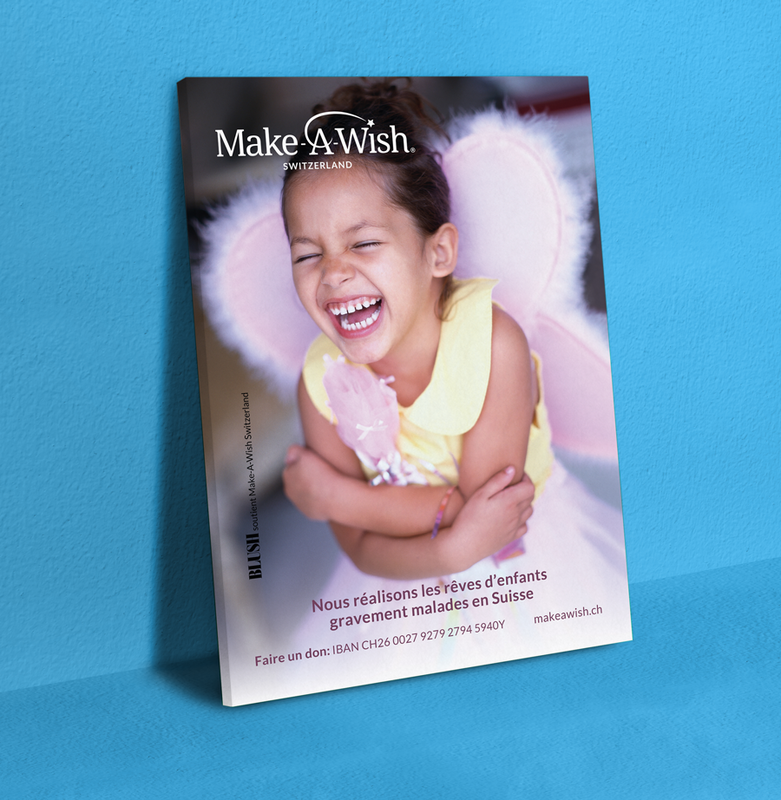 Make-A-Wish Foundation Switzerland is all about creating life-changing wishes for children aged between 3 and 18 with critical illnesses. The mission is to give children hope, strength and joy. Inspiration came back in 1980 in the U.S., when a wish of a 7-year old boy with leukemia who dreamed to be a policeman, was fulfilled. 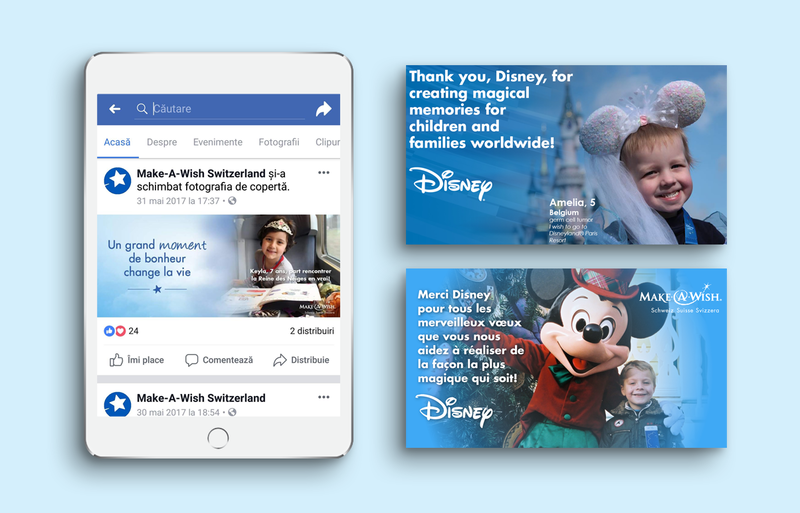 Our collaboration with Make-A-Wish Switzerland started with creating a website that would highlight the most important information in a structured manner while being visually entertaining and appealing. Such a project involves, nevertheless, extensive on-going activities. Our work has only just begun. And because visual thinking is essential to creating memorable experiences, we took very seriously the task of editing all photos that the foundation used in their social media campaigns and promotional and fundraising events. We worked on Christmas banners, Facebook ads, posters, as well as newsletters and invitations, while we seamlessly combined text with powerful imagery in order to deliver the message in the most impactful and at the same time touching and warm manner possible. For a harmonious design we paid attention to creating just the right amount of contrast, pairing fonts while using a consistent color scheme. We were deeply invested in raising awareness for the social media campaign #ShareYourEars, activated in partnership with Walt Disney, for which we proudly covered the creation of all digital assets necessary for the campaign to go viral. 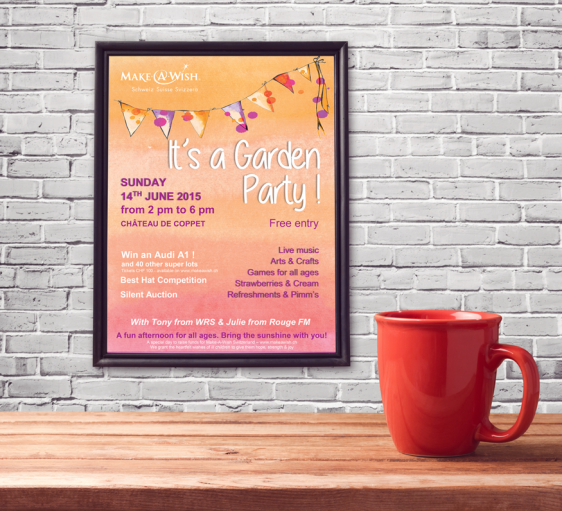 Working with Make-A-Wish proved to be quite an emotional roller coaster. It’s impressive the long-lasting impact the positive experience of a granted wish can have on a child. Working towards a common goal is truly inspirational!